There are so many things I love about being in the heart of Seminyak, Bali. There's so much going on, food places, beach clubs, clothing stores and pretty little cafes. One of my favourite cafe's is also just situated outside The Colony Hotel - It's called Sea Circus, tacos and the burgers are bomb here! So you guys must try when you visit, and if you feel like free pour tequila shots, Motel Mexicola goes off after dinner time. The famous Potato Head Bali and KU DE TA is only about 200m away so you know you'll get back so quick after an awesome Sunday sesh. I hope you guys loved the virtual tour on my Instagram!! If you haven't seen it yet, it's in the highlighted section. So check it out before it disappears. I also stayed in the Junior Suite for those who were wondering and it was so luxurious! I loved the bedroom and the open area of the living room. The bathroom is just as amazing, high quality finishes throughout. If anyone is looking for somewhere clean, comfortable and a little bit pretty to stay in Seminyak - The Colony Hotel is your home away from home. There's breakfast every morning by the pool and coffee isn't too bad either. I'm currently working with the reservations and marketing team for a discount code for everyone who wants to stay here for a few nights! So check back within a couple of hours! GUYS! Use code “BETTY2018” to enjoy discount up to 18% PER NIGHT! For bookings of 4 nights min stay, your package will include a 1 way airport transfer to the hotel upon arrival. For bookings with 6 nights min stay will include a RETURN airport transfer. 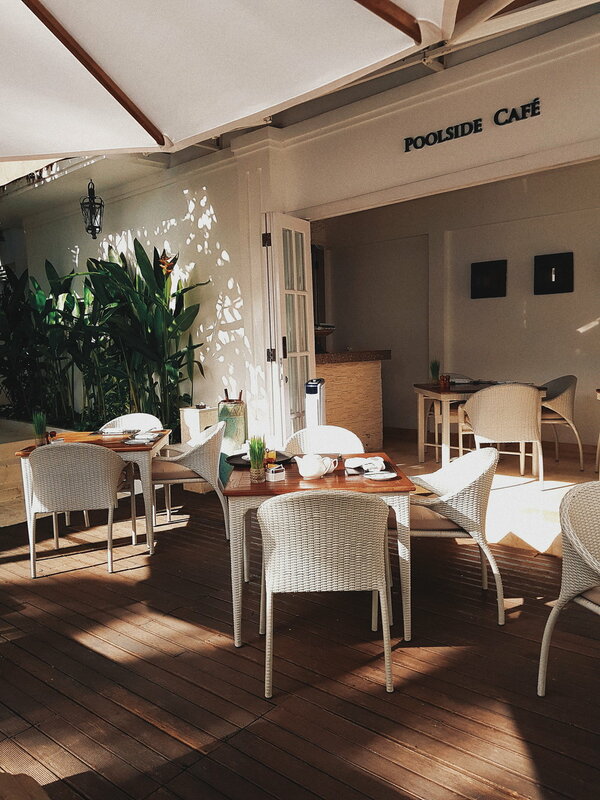 For bookings of more than 6 nights, you will enjoy a complimentary lunch at Poolside Café. Please note, that the hotel is not suitable for children under 16 years of age. Hope everyone has a beautiful holiday and enjoy the photos!